The pioneering effort of Hahn Estates Ownwer Nicolaus Hahn led to the creation of one of the most exciting and highly lauded United States wine appellations today: the Santa Lucia Highlands (SLH). Overlooking Monterey County's fertile Salinas Valley, the Santa Lucia Highlands, home to Hahn Estates/Smith & Hook Winery has come into its own. 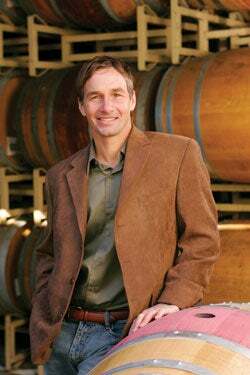 It was just over 20 years ago when Hahn Estates Owner Nicolaus (Nicky) Hahn first advocated the new wine appellation that would help differentiate the grapes from the Santa Lucia range from those growing down in the valley. Ultimately, his pioneering effort led to the creation of one of the most exciting and highly lauded United States wine appellations today: the Santa Lucia Highlands (SLH). Hahn Estates now owns 650 Santa Lucia Highlands vineyard acres that range in elevation from 200 to 1,200 feet. It is from those vineyards that the winery has recently unveiled its first estate wine brand: The Hahn SLH wines. The first releases include Pinot Noir, Syrah, Chardonnay, and Pinot Gris produced completely in the Santa Lucia Highlands--from the ground to the barrel to the bottle--at the Hahn Estates Winery. "The Hahn SLH wines encompass what I believe to be the 'soul' of not only the soil and climate, but also of the Hahn team," says Winemaker Paul Clifton. "The Hahns have surrounded themselves with a team of people all passionate about producing a line of SLH wines of world-class quality. I believe that blended in to each of these wines is this team's signature of passion--buried underneath the layers of aromas and flavors, is a subliminal sense of the many souls involved in growing and making these wines." Wine tourers driving down River Road can turn up the narrow winding lane of Hahn Estates to the tasting room, overseen by Lorrie Rodgers who is the winery's director of hospitality. "It's a delight to see our guests' enthusiastic reactions to the new wines," Lorrie smiles. "And they're really taken by the views of the Gavilan and Sierra de Salinas mountain ranges from here." If a visit to the Santa Lucia Highlands is not on one's agenda soon, at least a taste of them is--in the four very distinctive Hahn SLH wines. From Hwy 101, take Arroyo Seco Rd. Exit 301 at Soledad and head west. Turn right onto Fort Romie. Turn left onto Colony. Turn right onto Foothill. Follow road (1.5 miles).